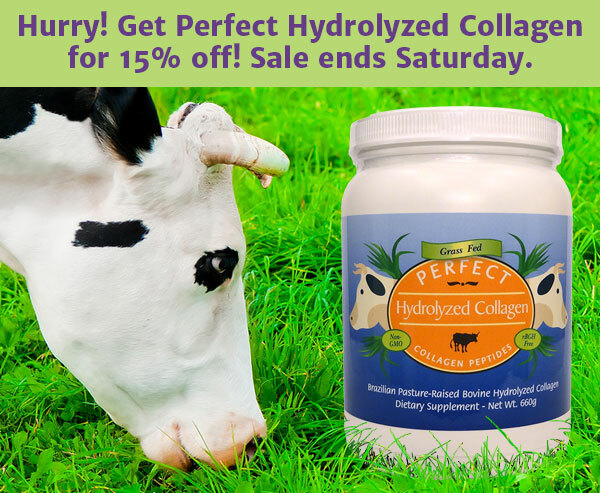 Home36 Hour Sale: Save 15% Off Perfect Hydrolyzed Collagen! 36 Hour Sale: Save 15% Off Perfect Hydrolyzed Collagen! …and so much more. All the benefits of bone broth, in powdered form! Use coupon code: 36HourSale at checkout. Sale ends 9/19/2015 at 6pm.